Well, a couple of things. First and most important, Liam just had so much going on that I didn’t think I could do him justice without getting into his head. Secondly, I wanted to give it a shot just because as a writer, I didn’t want to do the same things over and over. I was curious as to how I’d “translate” into third person…would the humor come through, would the voice be the same?…and I was wicked happy to see that it did. At least, to me. 3. Was it difficult to write from a man’s perspective after being used to showing his thoughts to the reader through the filter of the heroine’s (often skewed) point of view? The other element I think readers want is more than just a romance. That’s my opinion, of course, but I think a great contemporary weaves a romance with all the aspects of life we ourselves juggle: family, work, insecurities, past relationships. When I read a book that can balance all that, I know I feel like I got my money’s worth. 5. You write emotionally gripping stories with characters who stay with the reader long after they put your book down. Which of your characters has stayed with you more than any other? Thank you, Kat! You know, they all drift in and out, visiting me. I love my more difficult heroes, like Malone (from Catch of the Day) and Ian (from All I Ever Wanted)…and Liam, of course. Liam was hard to get over, let me tell you. Tell us all about UNTIL THERE WAS YOU. Liam Murphy once roamed the halls of Bellsford High, breaking hearts left and right until he found The One. She was NOT Posey Osterhagen, who spent two years worshipping Liam from afar. Now, 18 years later, Liam’s back now a widower and the father of a teenage girl, and he has the same effect on Posey as he did back in high school. On some levels, he seems the same—still smokin’ hot, still fighting off the women. On the other, he’s showing another side, too. Posey can’t help wonder if he’s the careless bad boy who unknowingly broke her heart back then, or if that secret side she thought she once saw might have some merit, too. 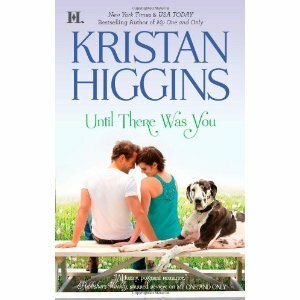 Kristan’s giving away a copy of UNTIL THERE WAS YOU to one lucky person. Leave a comment by Monday, November 14 to enter! Well I’ve read Catch of the Day and Fools Rush In (last week) and enjoyed them both very much. Love the dog characters… you truly have to be a dog lover to hit those chords with such resonance. I’m looking forward to Until There Was You and was disappointed that Indigo didn’t have it when I passed by last week. I haven’t had a chance to get this from the library. Interested in reading something contemporary and with animals since can’t imagine life without flks. Can’t wait to read Until There Was You. Great interview. Thanks for the chance to win. I love your writing. You never disappoint. 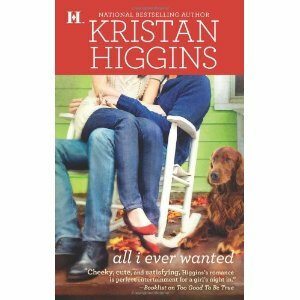 I adore Kristan’s books and as I’m a real dog lover I adore that there is always a connection to a well loved pet……there are so many other things I love too. Can’t wait to read this one. 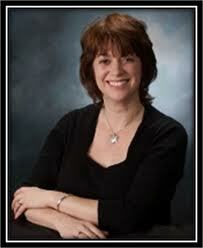 Just love your books, Kristan! And I totally love Malone and Ian. They’re both my favs! Hope you write more characters like them! Hi Kristan! I love your books. Thanks for the giveaway!